Tim Halladay, broker/owner, has been involved in real estate since the late 1980’s. 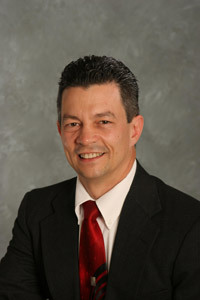 Tim became licensed as a broker in 2002. His extensive experience as an investor along with eight years as a residential mortgage originator and commercial mortgage broker qualifies him as an expert in virtually all aspects of real estate. Tim writes, produces and delivers real estate seminars on an array of topics from the first time home purchase to the multifamily investment strategy. Tim can help you with your first home or your first 1031 tax-deferred exchange. In his nearly 20 years in the real estate profession, Tim has never advertised but receives 100% of his business by referrals. Tim has been on the buying side of many (200+-) Investment transactions including rehabs, new construction, rentals and commercial property. Tim knows what investors and buyers want and he knows how to structure the deal so everybody wins. Tim began as a Navy Nuclear Submarine operator and instructor. After he had served his country, he started his career in real estate as an investor and property renovator.